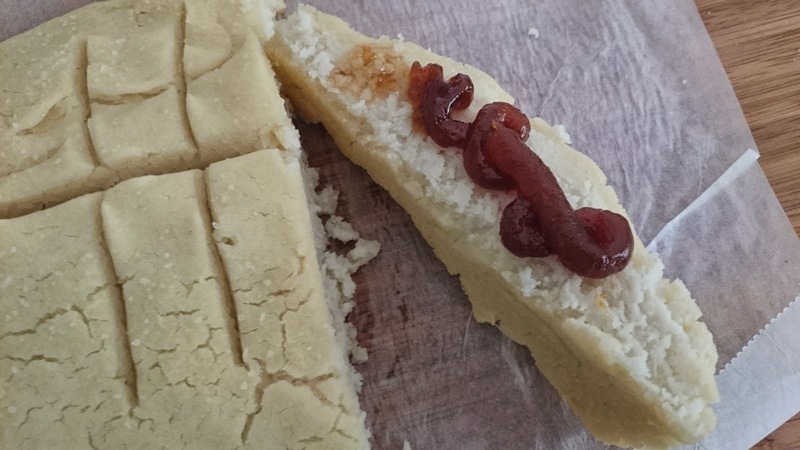 THERE CAN BE ONLY JUAN: Chef'Ease: How do you like your jam, ma'am? Chef'Ease: How do you like your jam, ma'am? 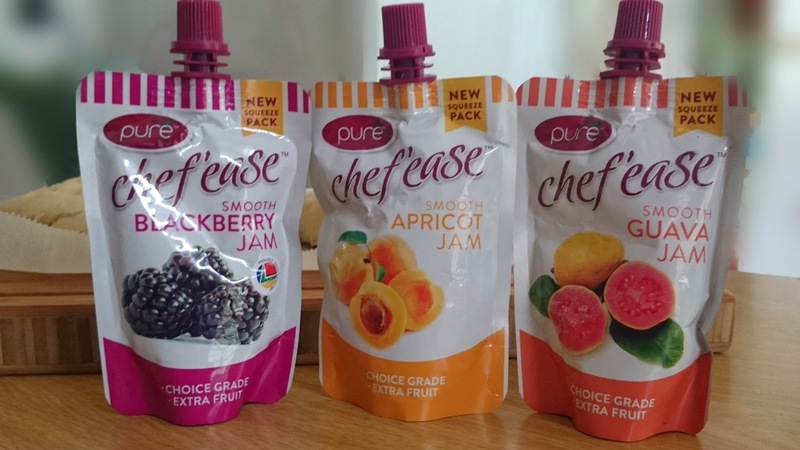 * Chef'Ease products supplied for review purposes. 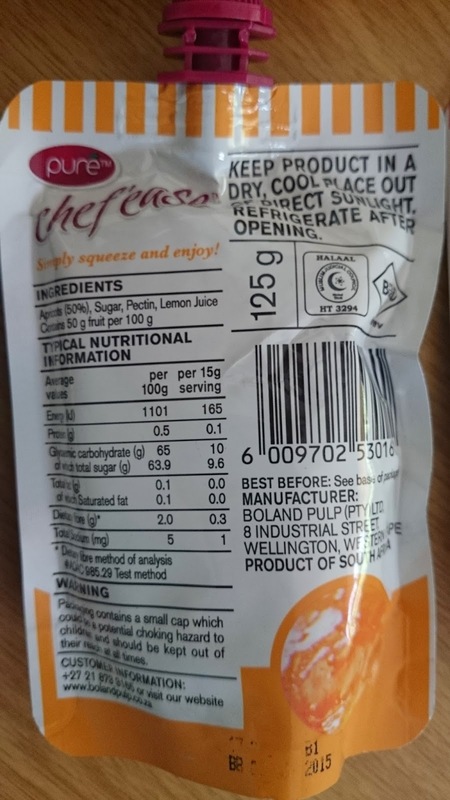 The blog heads to Wellington again this month, but this time, Wellington in South Africa - home of Chef'Ease products. 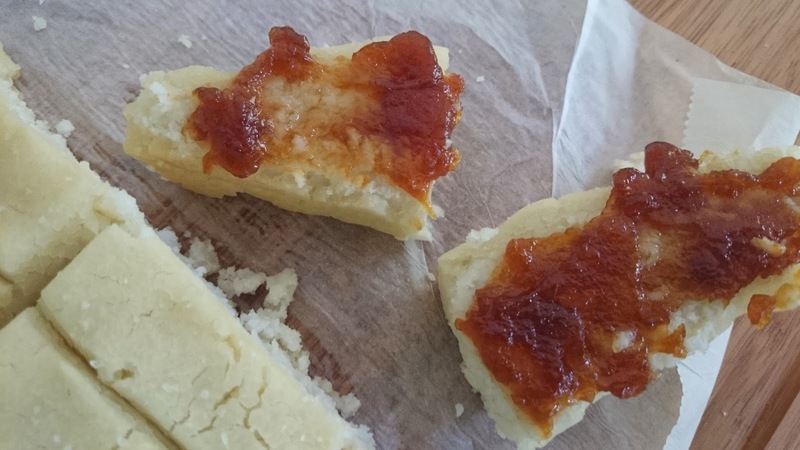 I agreed to taste test and (honestly) review the line of jams, so a day on which I baked bread (today) seemed like the perfect opportunity to do a bit of smearing (pun not intended). Being the South African girl that I am, thick slices of bread straight out of the oven call mos for apricot jam. Daddy, mommy, boetie and sussie live in a house. One jar of jam. But sussie is allergic to wheat. Now boetie spreads strawberry jam on his wheaty toast, dipping the crumby knife into the jar of strawberry jam multiple times. 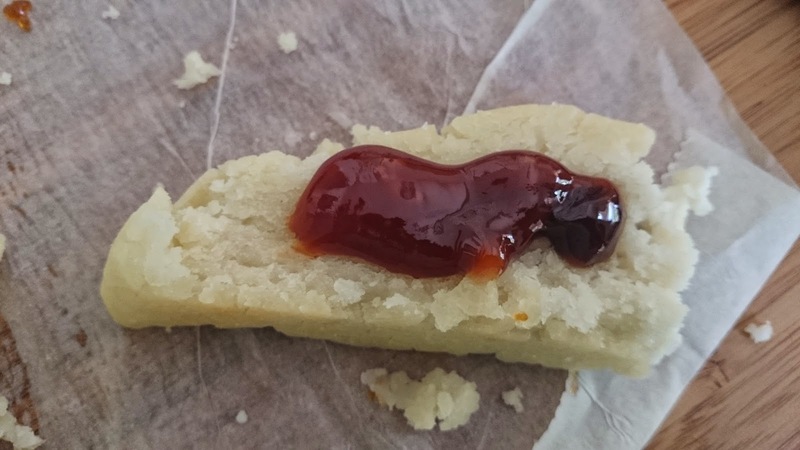 Sussie unsuspectingly comes to breakfast and dips her clean knife into the cross-contaminated jar of jam, innocently spreading it (and all the wheaty toast crumbs) on her rice cake. Two minutes later: anaphylactic shock. Solution? Squeezy bags of jam! One point of contention: The lid. 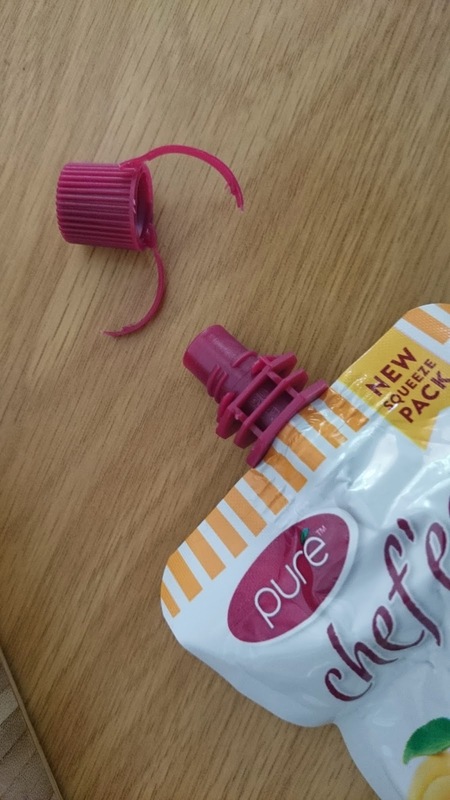 It is easy to open but those little twisty plastic bits on the lid are sharp and don't come off easily. 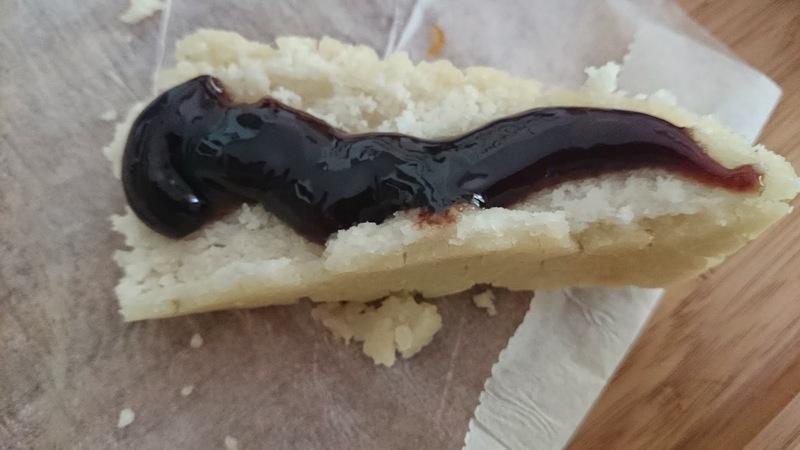 Deployment: I didn't think to shake the packet before opening it, so when I squeezed some jam onto my slice of bread, some sugary water spurted out before the really thick jam could be squeezed out. Visual appeal: Good. Judging by the colour, it looks like apricots were involved in this jam's origin. Spreadability: Excellent. 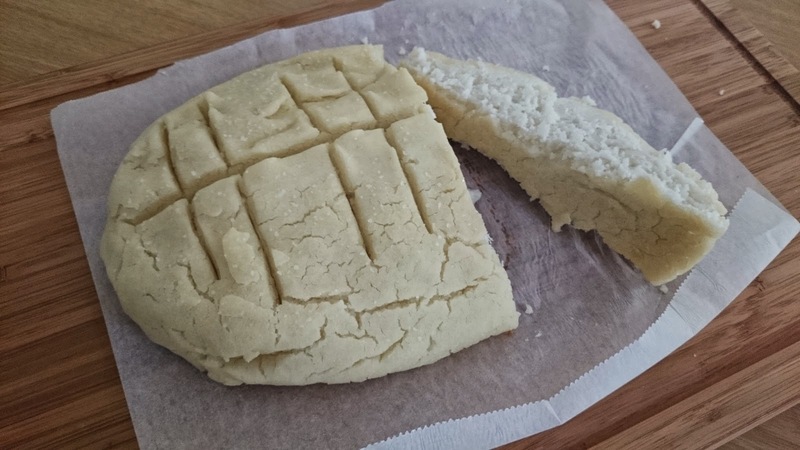 Spreads easily and doesn't break my gluten-free bread (gluten does a sticky but important job when it comes to bread, so this was a big plus for me). Texture: SUPER smooth! No lumpy or textured bits at all. Flavour: Excellent. 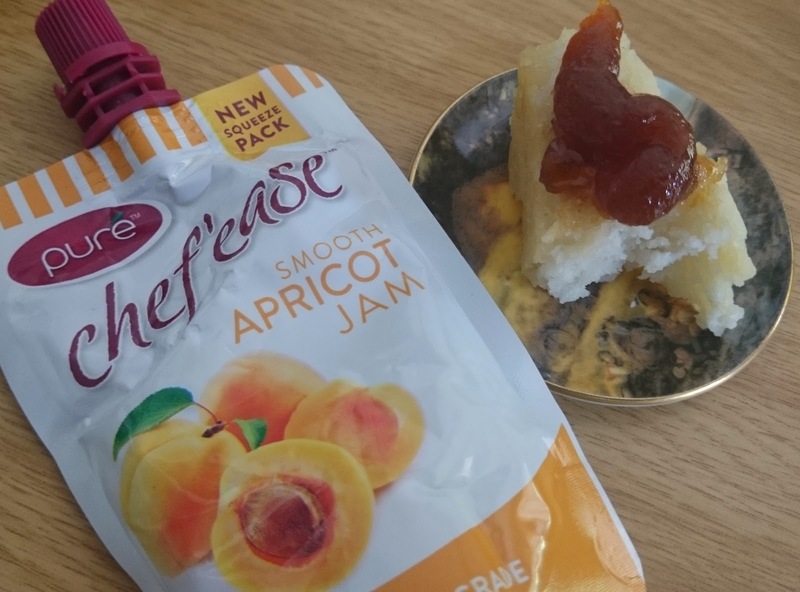 Not overly sweet with a good hit of fruity tartness (just the way I love my apricot jam). No lingering aftertaste of anything other than apricots either. 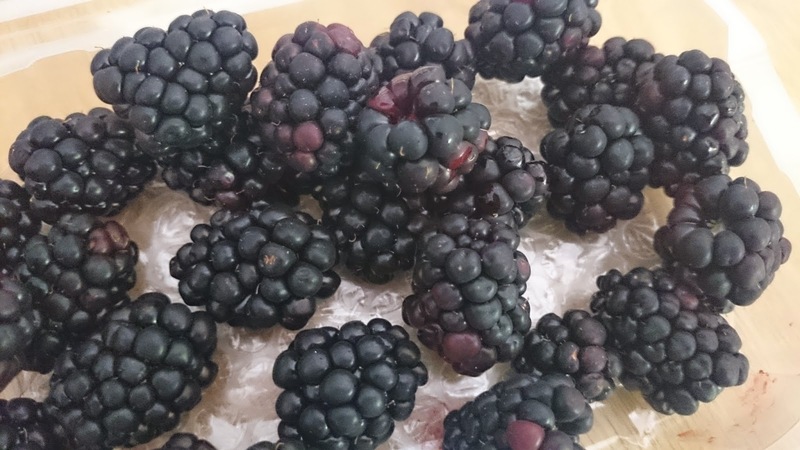 Since fresh, locally grown blackberries have (finally) made an appearance in Woolworths stores this December, I've been eating these pricey gems by the half punnet full (a girl has to share). May I just interject (in my own post) and say a hearty: "Thank you!" to whichever South African farmer decided to grow blackberries and not export them all! My taste buds and antioxidant levels are much obliged. Anyway, the point of my verbal meander is to say that I was anxious to try the blackberry jam, since the only other blackberry jam I usually eat is St. Dalfour. Deployment: I remembered to shake it before opening it. This jam is more runny than the apricot, so it shakes easier and you don't get "sugary water spurt" (now a technical term). Visual appeal: Not great. It's true, blackberries are called BLACKberries, but when you view them up close in all their globular glory, they have hues of purple and reds. They are pretty berries. This jam has the visual appeal of primordial sludge. Flavour: Really not my flavour at all. This was reminiscent of childhood pseudo-flavoured cough syrups with a distinct medicinal aftertaste. IMHO this doesn't do blackberries any justice. None of the fresh, sweet, tart flavours are imparted. I couldn't take more than one bite. To quote my friend Carolina's grandad: "Something is wrong here that should be right." Third and final flavour: guava jam. Another South African staple (mos). Deployment: Same as for the blackberry jam. Visual appeal: Okay - a bit uneven but, again, it looks like it comes from guavas (or more like dried guava rolls, really). Texture: Very smooth. No teeth cracking on guava seeds in this jam. Flavour: Tastes like guavas initially but then something ever so slightly bitter lingers in the aftertaste. Sweeter than the apricot jam with less tartness. I miss some tartness. Apricot jam - hands down! In fact, I would actually now stop using other apricot jams and start using this as my first choice, that's how perfect the balance of sweetness to tartness is! I can't comment on cost, since I don't now how much these products cost, but I'm guessing that it wont be anywhere in the region of imported Bonne Maman and St. Dalfour prices (i.e. pricey). But you know, the thing about jam is that you use so little of it (comparatively speaking) and expect it to impart a big flavour punch in that small amount as well (I mean, I don't hear many people admitting to standing with a spoon in a jar of jam the way you would with, say, Nutella), so forking out money for the perfect tasting jam that is going to last you a while seems like money well spent. first of all, your BREAD looks delish! i can see my son squeezing the jam straight into his mouth, lol! it looks good, though, and i haven't seen anything like it here.